SAINT AUGUSTINE – Council on Aging will participate in the tenth annual Subaru Share the Love Event as a member of Meals on Wheels America – one of four national Share the Love charitable partners supported through the promotion. From Nov. 16, 2017 to Jan. 2, 2018, Subaru of America will donate $250 for every new Subaru vehicle sold or leased to the customer’s choice of participating charity. Participating Meals on Wheels America members, like Council on Aging will receive a share of the donation raised by Subaru in their state. 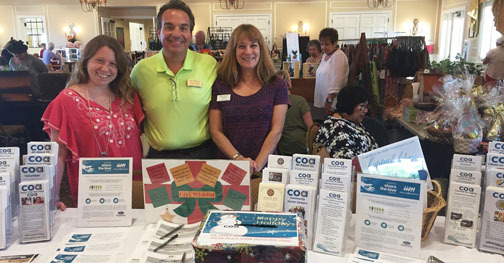 Council on Aging is participating to raise awareness for the popular year-end sales and giving event, and drive support for Meals on Wheels. This year marks the automaker’s 50th Anniversary in the U.S. and, for the second year in a row, there will be no cap on the total donation from Subaru of America to its Share the Love charitable partners. At the culmination of this year, Subaru hopes to exceed a grand total of $115 million donated since the creation of Share the Love to celebrate the tenth anniversary of the event. By purchasing or leasing a new Subaru during the Event and selecting Meals on Wheels America as your charity of choice, you can help deliver nutritious meals and other important services to seniors right here in St Augustine. Council on Aging strives to allow seniors to remain independent in their home for as long as possible, thus improving the quality of life for caregivers and their loved ones. To do this, Council on Aging provides numerous programs and services, like Meals on Wheels. Meals on Wheels is a dynamic and critical meal delivery service facilitated by over 250 volunteer drivers who deliver approximately 300 meals every weekday to homebound elders in St. Johns County. With over 300 people receiving meals, there are still 300 on a waiting list. To make a direct donation to Meals on Wheels. Contact Cindy Walker, Development and Communication Associate, at 904-209-3687 orcjwalker@stjohnscoa.com.